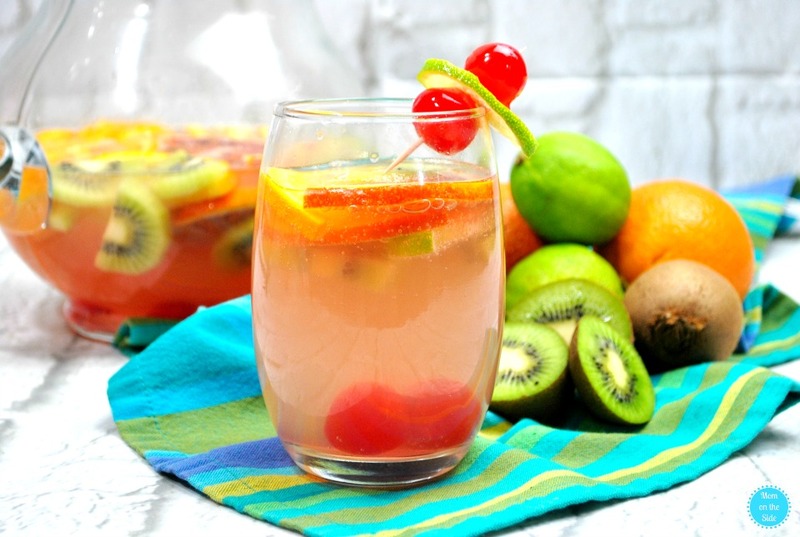 This Tropical Sangria with White Wine may become a summer favorite! I love sangria if you couldn’t tell by my Cherry Citrus Sangria and Strawberry Kiwi Sangria and Peach Raspberry Sangria Popsicles. 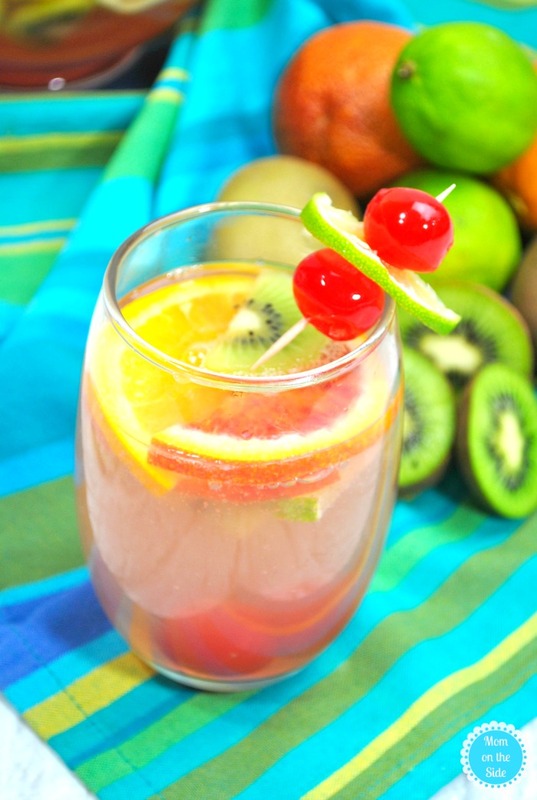 Fruit and wine getting happy together make for a delicious drink and this one will have you twirling your tiny umbrella. After you’ve sliced all the fresh fruits, add them to a large pitcher. 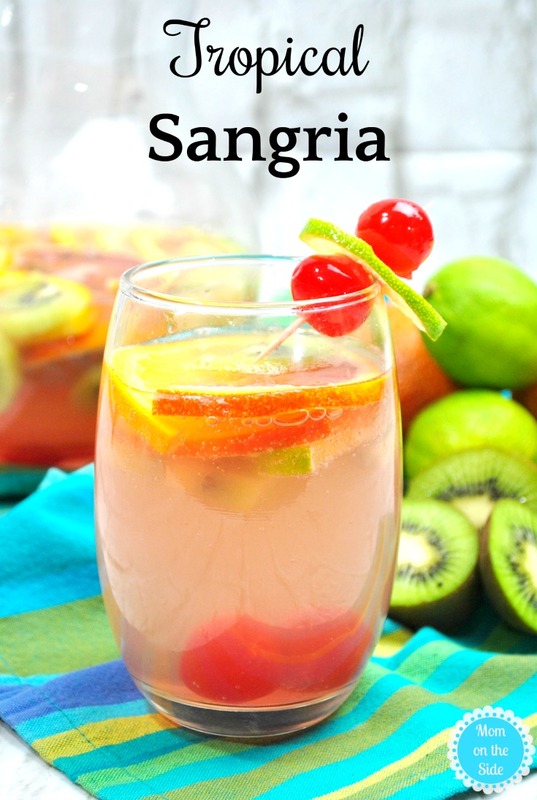 Then, pour in all the liquids and chill the sangria until you are ready to serve. The longer it sets the more the flavors blend together so giving it a few hours is best. 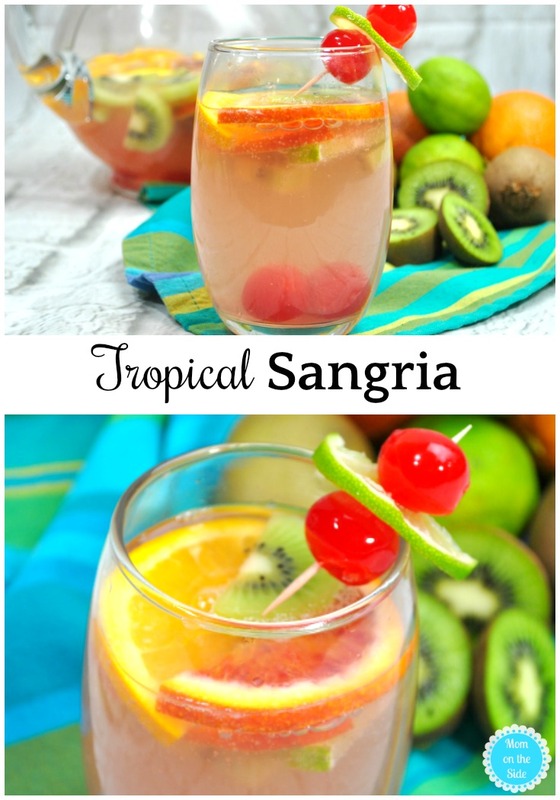 Save this Tropical Sangria Recipe for later! Can you offer some suggestions on the types of seeet white wine that you can use? Hi Shar! Cupcake, Barefoot and the Owl Brand at Aldi’s are some of my favorite sweet white wines. I hope that helps!